Enjoy a premium HDTV viewing experience, or configure a powerful workstation with this universal docking station. 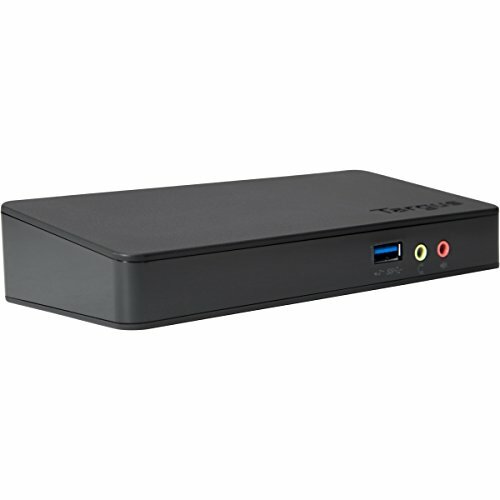 Whether you want to set up an in home entertainment solution that streams content from your laptop to your 1080P HDTV, share online content on an HD screen, or connect peripherals like an external hard drive, mouse, and keyboard, this solution makes it easy. You can also connect speakers or headphones via audio in/audio out ports, and gain wired Internet access with the gigabit Ethernet port. And because it's universal, this Dock supports laptops with most popular Windows, Mac and Android operating systems. Features integrated lock slot.